The fear of continuing racial discrimination placed added burdens. This statement was published in the Hood River News on December 22, 1944. 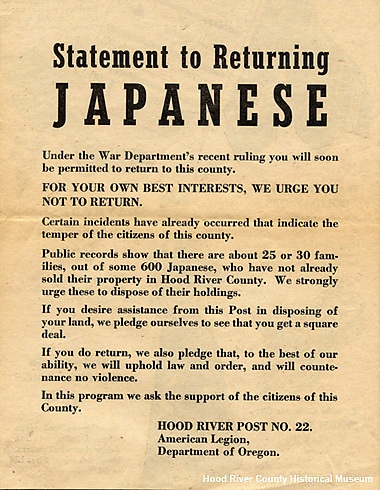 Courtesy of Hood River County Historical Museum.